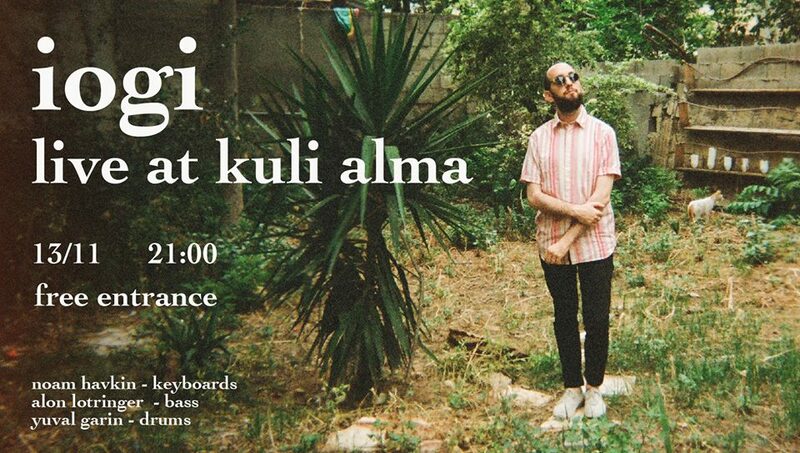 iogi is coming for the first time to Kuli Alma! He and his band will play his debut album “the ceiling”, out on Raw Tapes Records earlier this year. and after came the guitar and bass guitar, which is his main instrument till this day. iogi had toured the world with artists such as A-WA and Idan Raichel, and over the years have played with other israeli artists such as Mercedes Band, Tomer Yeshayahu, Amir Dadon, Yoni Rechter and more. His new album – ‘the ceiling’ was recorded in a period of 4 months, in which he wrote all the songs and played most of the instruments. The album was produced alongside with Nomok.